A call center agent’s job is one of the most challenging, yet rewarding and most imperative. From taking orders to providing customer support, sticky situations arise. But how you handle it all can make a difference between creating loyal customers and losing business. Whether the call center is small or large, it has two agents or two thousand plus, it all starts with the right training. Every rep who answers a call should be undergoing a training session. It is an ongoing process which should never stop. Customer care agents should be guided on how to manage both inbound and outbound calls. The situation varies in both cases; former is providing information and handling complaints, whereas latter involves in selling business. Here is the list of what call center agents should and should not do during a call interaction. The calmer the agents manage to keep themselves, the more successful they become. Coming across people with different temperaments happens in their day to day schedule. While making outbound calls, few prospects give annoying responses; they become rude and slam the phone at times. Even during inbound calls customers take out their frustration because of their complaints. This demoralizes the rep’s spirit because they cannot respond in the same manner, but if the client abuses then the caller must report it to the seniors. Anyhow do not upset a client because they might not need anything today but they might require it later in the future. If they have a bad experience with you, they will never make a purchase. A script is must for every call center agent. Value proportions, product information, FAQs, unless changed, should be jotted and highlighted on their papers. The reps should be giving exact data to the prospects because they don’t forgive later for false information. But at the same time, avoid narrating every bit from the script, it sounds robotic on the agent’s end. Keeping the sheet for reference is advisable. Keeping the customer on hold irritates them. They do not like hearing the background record which says “Your call is on hold. Please wait for the assistance.” . Rather it is suggested to keep talking to the customer while searching for the information. The priority of the agent is to get favorable feedback from the attendee and it can be only fetched by giving them utmost attention. Supervisors lose faith and they miss a chance to move up the ladder. 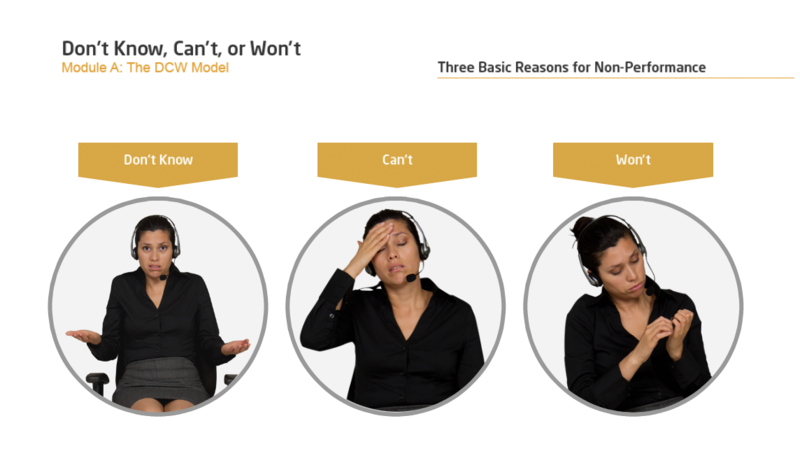 Customers would think agents are unaware and uninformed and giving invalid reasons so they don’t call again. You will never gain the confidence to give final answers. If the client request for manager’s help, then of course you should entertain. But in a well-run call centre, your answer and your supervisor’s answer should be exactly the same. This is another statement which can completely kill a customer’s confidence in you. No one expects you to know all the answers, but you should at least be confident and positive about finding the ones you don’t know. Otherwise the call experience of the client becomes unpleasant. As per a study done by YouGov, 76% of customers said “just one unpleasant contact center experience was likely to make them take their business elsewhere”. A recent Zendesk survey also revealed that 35% of customers stopped doing business with a company after a poor experience. When agents are thorough with the features and specifications of the product, they have to make least efforts to solve the query or sell the product. This results in establishing credibility, trust and leaves an impression on the prospect’s mind. Moreover, it boosts the confidence of the agent and helps them to cross their line of ability to sell more. Asking customers details during every call bugs them. To avoid this, train the reps to use CRM solutions. This tool works in improving company’s customer service practices by helping employees respond to client’s queries quickly and effectively. This saves the customer’s time and improve agent’s productivity and efficiency. It even works in providing speedy book keeping and accurate financial reportings of the clients. The agent’s main job is to communicate; first of all they should allow the customers to speak without any interruption. The agent should actively listen and speak only after they finish. Secondly, they must possess the quality of excellent communication skills. An agent’s entire attention should be on customer’s interest and what they require, rather than pushing them to buy the company’s product. They should focus more on understanding the requirements of the prospects and empathize their situation. This develops customer’s faith in you and they tend to build a relationship. This way, when they will have an issue, they will surely search for you. Even if the call center agent’s job does not dictate to go beyond the first call resolution still they should be keen to resolve the issue proactively. They must get into the root of the problem to ensure that customers do not call for the same issue again. And even avoid transferring their call from person to person, it plays an important role in shaping the customer’s experience. One of the best ways to improve your own performance is to get tips from someone who is doing well. Sit in on calls with a successful call center agent and listen to how they manage their calls and handle customer interactions. Then, incorporate their techniques into your own dealings with customers. By following others footsteps you can add extra efficiency in your work. Call Center Agents needs to develop the right material in them which pushes them towards success. They need to become the complete package. They work hard, exceed expectations and do more than asked to achieve high-quality consistent results. A little direction can lead them working extremely well with both customers and employees. i read your post and this is fact that this is very tough work . A call center agent’s job is actual challenging. which people does work on call center agent’s they have to face many tough situation. But how they handle it all.and which tips you give us that all is most important for this filed. thanks to share tips with us .